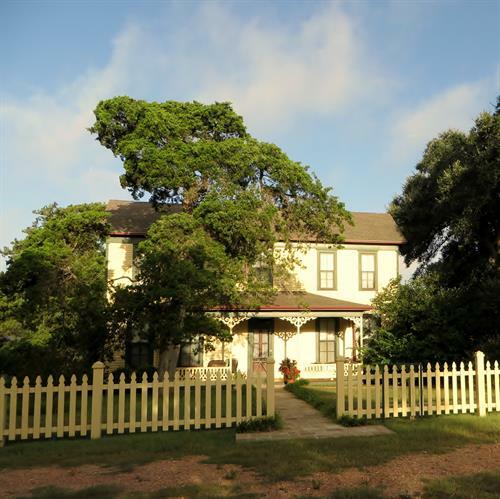 Step back in time at our charming, historic Quebe Guest House. Take a deep breath. The privacy and serenity settle in as you turn onto the driveway beneath arching branches of a mammoth oak tree. You’ll be delighted by the picturesque home that is comfortably furnished with antique furniture, original art, framed old photos and documents. Layout or floor plan is approximately 2100 square feet of peaceful quiet space. You have the whole house to yourselves. Downstairs are two bedrooms, one with a queen bed and one with two doubles, a full bath and a half-bath, large kitchen, dining room, parlor and front and back porches. Upstairs are a foyer and two bedrooms, one with a king bed and one with a double and a twin. Can accommodate very small weddings – 10 guests. Located close to other wedding venues for bridesmaids or groomsmen lodging. Bring a group or just your sweetheart for an intimate escape. This is the perfect place for your next family reunion, quilting bee, scrapbooking party, corporate retreat or girlfriend get-together. Menus for restaurants are available at the Guesthouse Handbook. 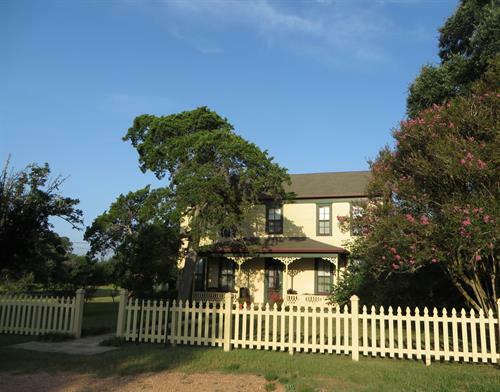 Quebe Guesthouse, 6255 Quebe Road, Brenham 77833 is 8 miles north of Brenham, between Brenham and Independence, easily accessible from all directions.